and Google Earth, a team of students launched a grassroots volunteer effort, named the Afghan Map Makers, to map their country using Google Map Maker, with the vision of reintroducing Afghanistan to its people and the world through its maps. As a result of their efforts, we are proud to re-launch the map of Afghanistan, with a far more detailed Herat --- along with 11 more regions, on Google Maps. 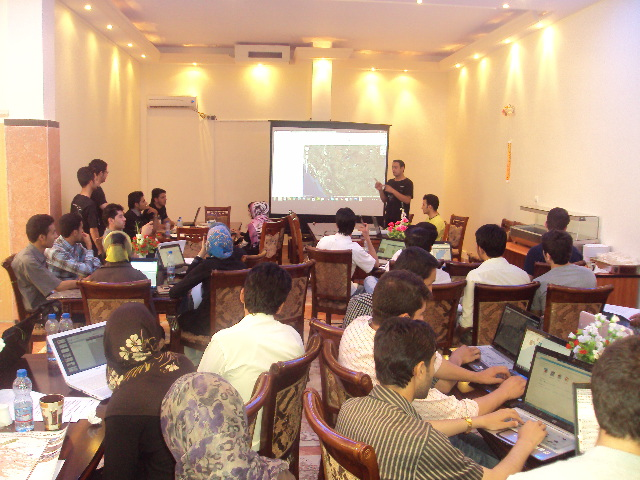 Led by recent computer science graduates Hasen and Sadeq, along with other volunteers from their tech start-up, Microcis IT Services CO, the Afghan Map Makers realized how mapping could improve Afghanistan’s economic, community and civic development. Starting from old paper maps and basic satellite imagery, the Afghan Map Makers employed unmatched strategy and diligence to map Herat in only a matter of weeks. Shortly thereafter a new tech start-up incubator, the Herat Information Technology Incubator Program for Herat University entrepreneurs, was founded with the help of Department of Defense, giving five more start-up companies the resources to volunteer spare time to the mapping initiative. The group divided Herat’s map into six equal parts, and each set of volunteers was responsible for mapping a particular section of the city. Herat, Afghanistan: The “before and after” efforts of volunteer mappers from Microsis, Afghan Citadel Software Company, Afghan Cybersoft, Asia Cyber Tech, Herat4soo.com and Taktech. Represented by Hasen Poreya, the Afghan Map Makers presented their project during a June visit to the Mountain View and New York Google offices. According to Hasen, the group encountered many roadblocks from the very beginning; everything from connectivity issues to old satellite imagery and an initial lack of volunteers. Since then, they’ve laid out the map of Herat and several volunteers have already mapped most of Kabul, Afghanistan. You can watch a mapping time lapse of Herat here and Kabul here. This story is far more significant than the mapping of a city. It is a story of young people in a community coming together, taking ownership of their future and serving their country in a truly entrepreneurial and meaningful way. Congratulations to Hasen, Sadeq, the Herat start-up teams and thousands of Map Makers in more than 180 other countries, helping to map the world. In response to their city’s absence on Google Maps and Google Earth, a team of students launched a grassroots volunteer effort, named the Afghan Map Makers, to map their country using Google Map Maker, with the vision of reintroducing Afghanistan to its people and the world through its maps. As a result of their efforts, we are proud to re-launch the map of Afghanistan, with a far more detailed Herat --- along with 11 more regions, on Google Maps.